The early morning dew is swept away by eager golfers fighting for the chance to be crowned state champion. Last year as a junior, John Cherry was one of those golfers, battling summer heat and intense pressure at Prairie View Golf Club to compete for a state title. As he prepared to tee off on the first hole of the state finals, John reflected on his journey to this point. John Cherry, now a senior, did not start playing competitive golf until he arrived at Hamilton Southeastern High School in the fall of 2015. After being born in Atlanta and living a majority of his young life in Memphis, most of John’s time was consumed with baseball, golf was an afterthought. It was not until he moved to Fishers, and onto the Hawthorns Golf Course that he fell in love with the game of golf. “I was a baseball player all the way up from my childhood until 8th grade,” Cherry said. “When I moved out here, I moved onto a golf course and truly fell in love with the game”. 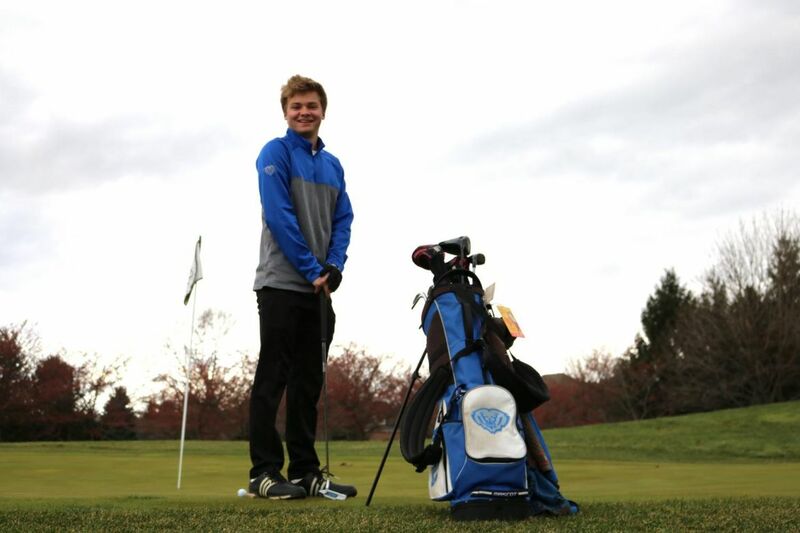 Many people fall in love with the game of golf, for Cherry, this love led him to try out for the HSE golf team Freshman year. “When John came in Freshman year…I was impressed with his raw athletic swing,” said Assistant coach Peter Salvadori. Entering his junior year, Coach Salvadori said, “All of a sudden, he was six, seven, eight strokes better [than the previous year]”. This rapid success that Cherry experienced was largely fueled by his work ethic and willingness to get better. The culmination of this so far was making the 2018 IHSAA State Golf Finals. This year however, Cherry said that his goals for this year are, “To make it to state, finish top three as a team, and top ten as an individual”.